In 2015, Apple struck back. It opened up its Safari mobile browser to ad blockers, and a crush of ad blocker apps hit the App Store. Block ads in Safari? ? Block Twitter and Facebook widgets? ? Block custom web fonts? ? Block EU cookie notices? ? It’s a drastically different mobile web when an ad blocker is enabled. 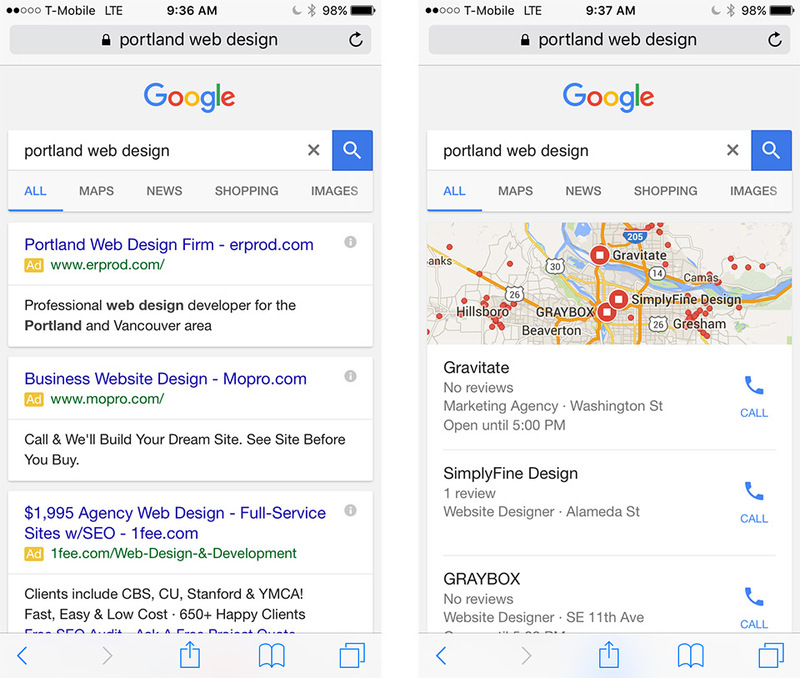 For example, here’s a before-and-after comparison of a Google search for “portland web design”. At left is a search result page with ads; at right is a search result page with an ad blocker installed and no ads displaying. Remove all of those paid search ads and what’s left? Local and organic search results. A well thought-out paid search campaign can pump life and money into your company in the short-term, but, in the long-term, there’s no replacing Google’s consideration of your website as a valuable source of content. Make content valued by human beings and your brand will be better for it. Why did companies like Intel and Chase Bank form their own newsrooms? Why does GE co-produce a sci-fi podcast? Why is Gore-Tex creating its own digital magazine? It’s because these big brands understand they can’t rely on advertising alone to reach new customers digitally. They know the fabric of the web – from social to search – rewards genuine storytelling and strong content. Reliable numbers of ad blocker usage aren’t available at this point, but a single app, 1Blocker, says it surpassed half a million users in mid-December — and that’s one of a dozen ad blocker apps in the App Store. 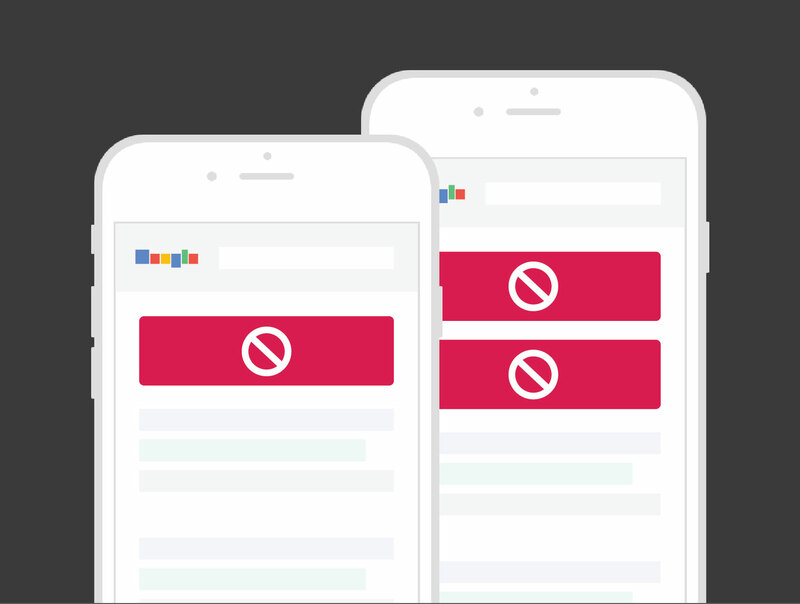 No one can say for sure whether the adoption rate of ad blockers will significantly punish advertisers for causing the mobile web’s clunky and cluttery user experience from the past few years. Regardless, when your company weighs its options for how to best spend its marketing dollar in 2016, you might consider an investment in storytelling and original content (P.S. That’s something we do here at Gravitate). The desire for compelling and shareable content will never disappear the way a digital ad might.